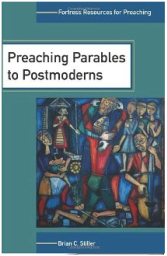 "However we understand the 'postmodern' era, we are not 'post' the need to pay careful attention to the parables of Jesus. In this excellent work, Brian Stiller provides us with many profound insights about how to apply these stories to the complexities of our contemporary lives. Many congregations will be blessed by preachers and teachers who draw on the wisdom offered in this book!" Richard J. Mouw, Presdient and Professor of Christian Philosophy, Fuller Theological Seminary. I first met Dr. Stiller over 30 years ago and heard him preach about the importance of being "anchored to the Rock but geared to the times." Knowing the gospel and understanding the times, for him, were prerequisites for effective proclamation. He's still there and it comes through in this beneficial work on the parables.